If you are about to take in a Siamese cat for the first time, then you might be understandably anxious about choosing the right Siamese cat food! 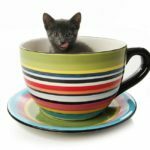 In this article, we take a close look at the best Siamese cat food for kittens, adult cats and Siamese cats with food allergies or sensitive stomach issues. This will help you pick out the best cat food for Siamese cats. What is the best food to feed a Siamese cat? Siamese cats’ bodies are adapted to get all the energy and nutrients they need animal proteins and fats. They need a diet rich in these ingredients, and low in carbohydrate “fillers” which they can’t digest. But is there anything specific about feeding Siamese cats that you need to be aware of? Obesity is a growing problem for modern cats, and keeping your Siamese a healthy weight is vital for his quality of life. 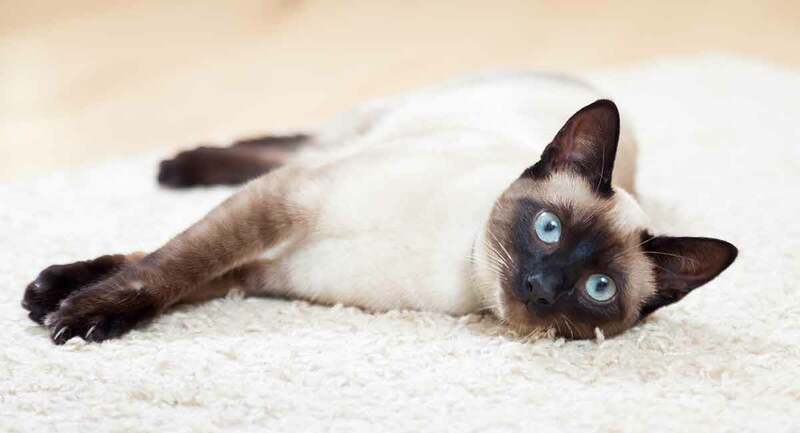 The CFA’s breed standard for Siamese cats says these cats should be “svelte”, “lithe” and “refined” – we certainly think of them as carrying very little body fat! But these naturally chatty cats can be very vocal and demanding – and often it’s tidbits of food they’re after. And following years of dispute about exactly what the perfect Siamese body shape should be, some breeders have divided into two camps on the matter. Some favor the ultra-slim lines in the breed standard, and others embrace a more rounded-out look – the trade off for out crossing with other breeds to increase genetic diversity. This can make it hard to instinctively recognize what is a healthy size and shape for your Siamese. The best person to help here is a vet. They will be able to tell you the healthy weight for your adult Siamese, and the amount of food they need each day to maintain it. You might have heard that Siamese cats are prone to amyloidosis – a build up of abnormal proteins around the vital organs which impairs their function. So you might naturally also wonder if restricting protein in their diet can protect them? The answer no, that’s not the case. Amyloidosis is caused by a cat’s body creating new proteins in the wrong places – not by misplacing proteins from their diet! So the surest route to a healthy Siamese cat diet is by sticking to a high quality meat based diet. There are a mind-boggling number of dry cat food options on the pet food market today! It is no wonder so many cat owners feel overwhelmed by the sheer number of choices. These are some of the best dry cat food for Siamese cats based on owner and cat ratings. This cat food by Royal Canin is specially formulated to meet the dietary needs of adult Siamese cats. The kibble even has its own unique shape designed to make it easy for your Siamese cat to pick up and chew. This highly rated and popular dry cat food has plenty of vitamins, minerals and nutrients in a base of real chicken and whole brown rice. Part of all sales goes to help animals in need. This popular, well-rated dry cat food might be a good choice if you’re looking for the best cat food for indoor Siamese cats. It is designed to deliver protein-rich, fortified nutrition to your adult indoor Siamese cat. 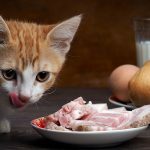 This food is free of by-products, common allergens and artificial ingredients and comes in three recipes to meet your cat’s individual dietary needs. Wet food can be an important part of your Siamese cat’s diet for both health and taste reasons. Wet food contains more natural liquid to help keep your cat fully hydrated. It is also quite tasty, making it a great choice for a training treat or dry food topper! This popular and highly rated wet cat food comes in a wide assortment of recipes to keep meal and snack time interesting and fun for your Siamese cat. You will find plenty of whole protein with no by-products, fillers or common allergens. 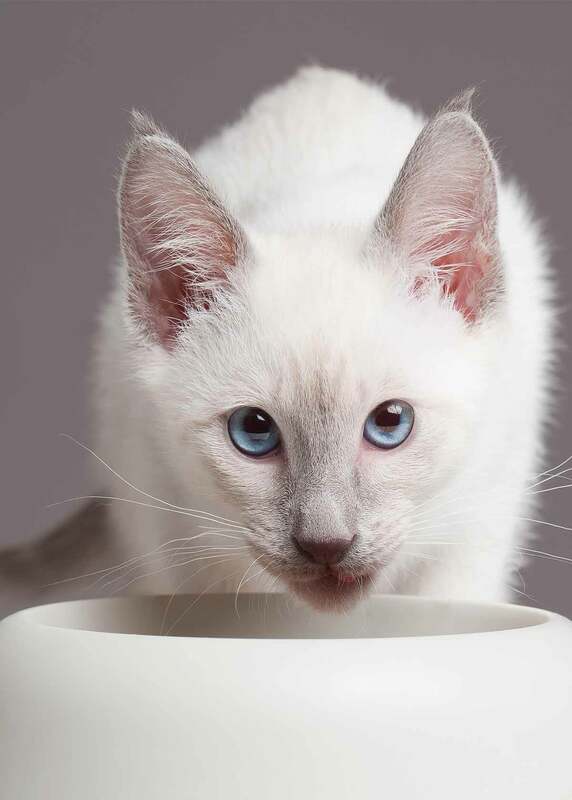 If your Siamese cat is on a grain-free diet, this tasty and highly rated wet food recipe may be the perfect complement to the standard dry food diet. 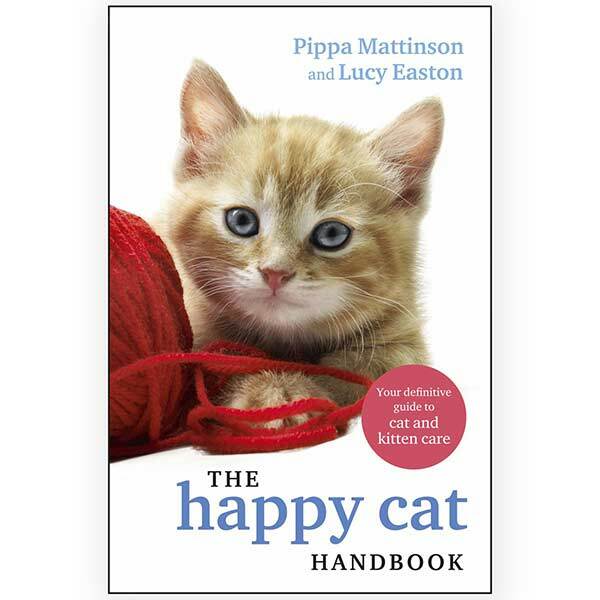 Choose from several recipes to keep your cat’s palate satisfied. This is another great grain-free wet food addition to your cat’s daily diet. Choose from a varied menu of all-natural, whole food recipes. Siamese kitten food should be specifically created with the nutritional and caloric needs of a fast-growing kitten in mind. Siamese kittens are particularly vulnerable to nutritional secondary hyperparathyroidism, a very long name for a deficiency in phosphorous, calcium and vitamin D which causes skeletal problems and often culminates in fractured bones. Your breeder will have weaned them onto a suitable diet to provide all these nutrients, and your vet can help you choose an appropriate alternative if you ever want to change it. This kitten food is designed to meet the special nutritional needs of kittens up to 12 months of age. It is packed with nutrients to support healthy immune system, digestive health, dental development and overall growth. IAMS is a trusted name in the veterinary industry for balanced, whole food nutrition for kittens and cats. This diet is designed to mirror the nutrition found in the mother cat’s milk. This is another veterinarian-recommended dry kitten food that has nutrients found in the mother cat’s milk to develop a strong, healthy immune system and foster healthy vision, brain and gastrointestinal development. Treating Siamese cat food allergies and issues with sensitive stomach and digestion can be challenging. 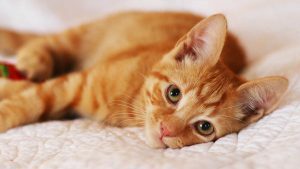 Often, a veterinarian will suggest transitioning to a limited ingredient diet or sensitive stomach Siamese cat food recipe as part of treatment. This dry food by Royal Canin is designed to meet the dietary needs of cats with food allergies or sensitive stomach issues. It has plenty of fiber to promote easy digestion and has a highly palatable taste to encourage your cat to eat. Hill’s Science Diet food is created by a team of feline health experts and veterinarians to meet the various dietary needs of cats in all stages of life. This sensitive stomach recipe includes plenty of antioxidants, vitamins and omega fatty acids to aid digestion. This highly-rated Siamese cat food features just a handful of high quality ingredients in several different recipe combinations to help your cat’s sensitive stomach digest more easily. 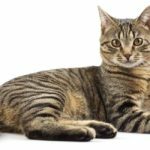 These grain free Siamese cat food recipes can also be a great choice if your Siamese cat suffers from sensitive stomach or food allergy issues. This grain-free, all-protein cat food is very popular and highly rated by cat owners and feline diners. There are no artificial ingredients or fillers in this food and it includes plenty of antioxidants, vitamins, minerals and superfoods to keep your cat’s immune system strong and healthy. This protein-rich, grain-free adult cat food is free from potential allergens and features real chicken as the number one ingredient. Finally, this indoor adult cat food is another contender if you’re looking for the best cat food for indoor Siamese cats. It is grain-free and rich in vitamins, minerals and nutrients. You can choose from three recipes. 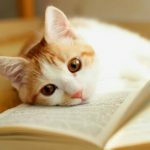 We hope you have found this article on the best Siamese cat food brands helpful and informative as you decide what food to offer your precious feline! Does your Siamese cat have a favorite dinner? Tell us what it is in the comments box! Bennett, D., “Nutrition and Bone Disease in the Dog and Cat”, Veterinary Record, 1976. Musleah, R., “A Composer’s Creation: Siamese Cat Breeding,” The New York Times, 1997. Rhoades, A., DVM, “Breed Profile – Siamese Cats,” Midlothian Animal Clinic, 2018. Kuck, P., et al, “Cat Care Handbook,” Rescue Siamese, 2018.